Sharing before pictures and moodboard for the Primp and Pamper Bathroom challenge where I share my Guest Bathroom Plans. I love the vanity. It has the original brass hardware still attached and is a great size. All in all this bathroom is pretty spacious. In fact, I think it may be as big as some of the bedrooms they put in newer homes…no shade, just facts. 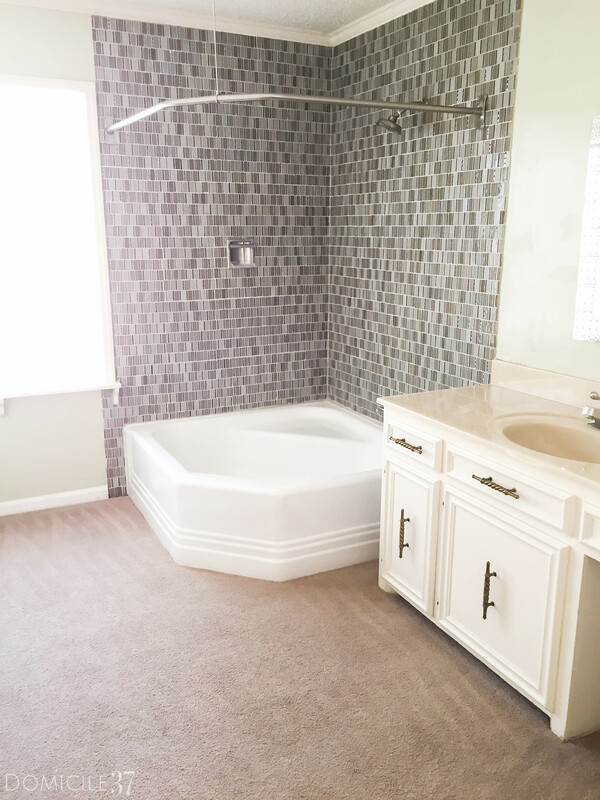 The Cinderella tub is one of my favourite features in this bathroom, but I hate the tiling. I am not down with glass mosaic tile. However, it will stay until I can pay someone to retile it for me. I wish they would have kept the original tile work. From my guess, it probably was pink. I could have rocked that easily. I haven’t touched the windows in my bathroom yet, but I have been browsing many websites looking for shutters as they are booming in style at the moment. A friend recommended me this website, shuttercraft-warwick.co.uk, and they appear to have a wide range of products and offer shutter fitting services too! Here is a moodboard with what I would have liked my bathroom to look like. I can tell you now, it does not look 100% like this but it is almost there. I pulled up my carpet last spring and discovered that the original pink flooring was still there, so I decided to rock it to save money. 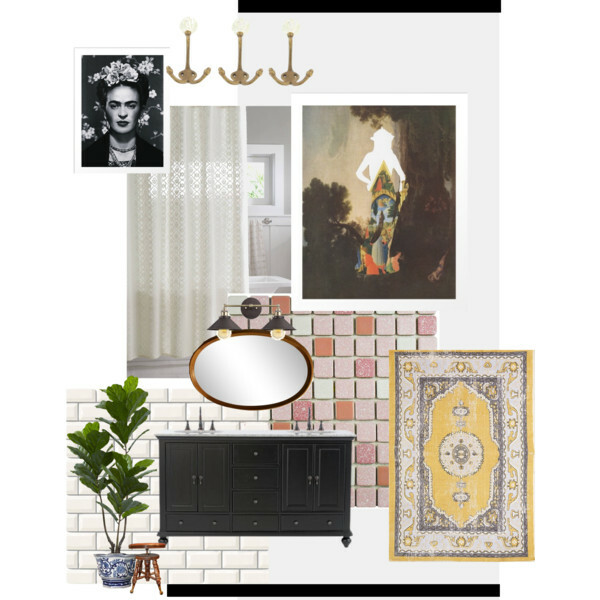 The flooring was the inspiration for this moodboard…it is definitely a mix of vintage and boho. I was also planning on adding some Oak Vanity Units for guests to wash their face and get ready for the day in, however, these turned out to be rather pricey and I was trying to make this bathroom look good on a budget. 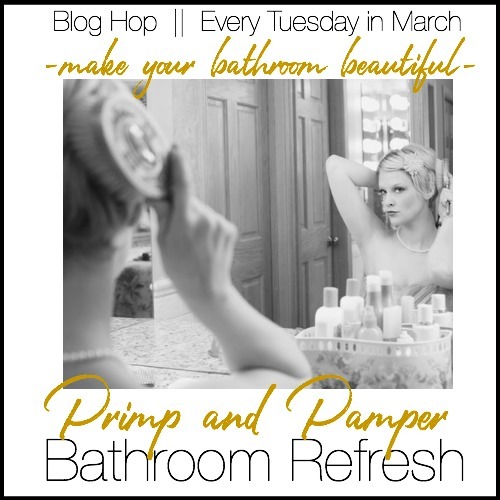 Well guys, this does it for week one of the Primp and Pamper challenge. For more bathroom inspiration be sure to stop by My Eclectic Nest! I cannot wait to see her plans for her bathroom! Girl, talk about a long term project. No worries, I know how you feel. My bathroom has a big chunk of wallpaper torn off that’s been that way for almost a year. Let’s do this already. I know your’s will be fabulous! Valley Girl 🤣. 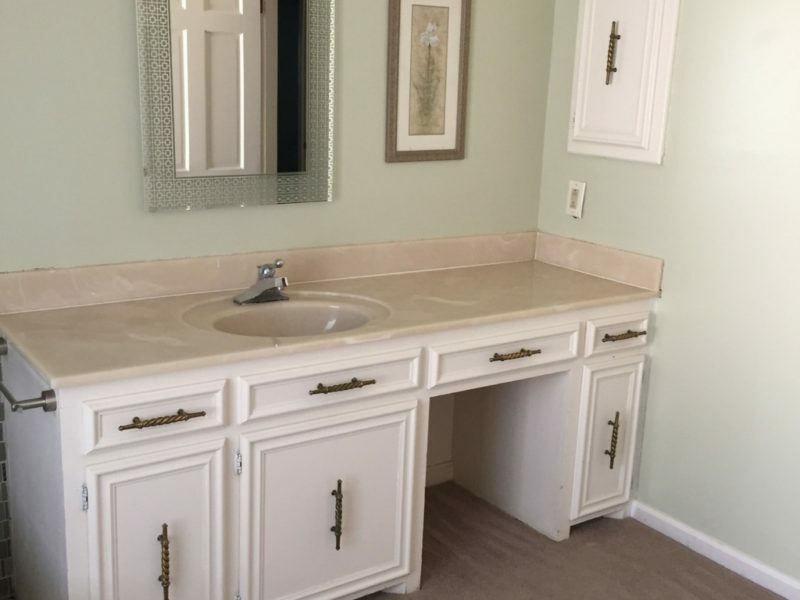 I love the vanity too! 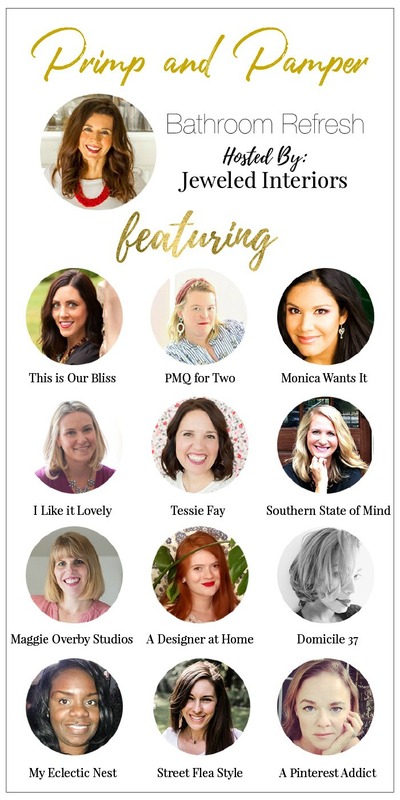 This is going to be fab! Hooray for depth and texture and bold colours! Looking forward to seeing you pull this one together girl. I’m along for the ride! Oh yay for art! Can’t wait to see this at the end of the month. HAHA! Thanks! I have been sitting on this reveal for forever. It is about time I show it off. I can’t wait to see the original pink flooring! Your mood board looks fabulous too. So looking forward to the big reveal! I cannot wait to show them off. I really do not know why they chose to put carpet over it. it is in great condition. What a great find with the bathroom floors! And swoooon for those cabinet pulls. This room has great details and I can’t wait to see how you pull it together!